Glasser & Shady…forever upping their Judging game. 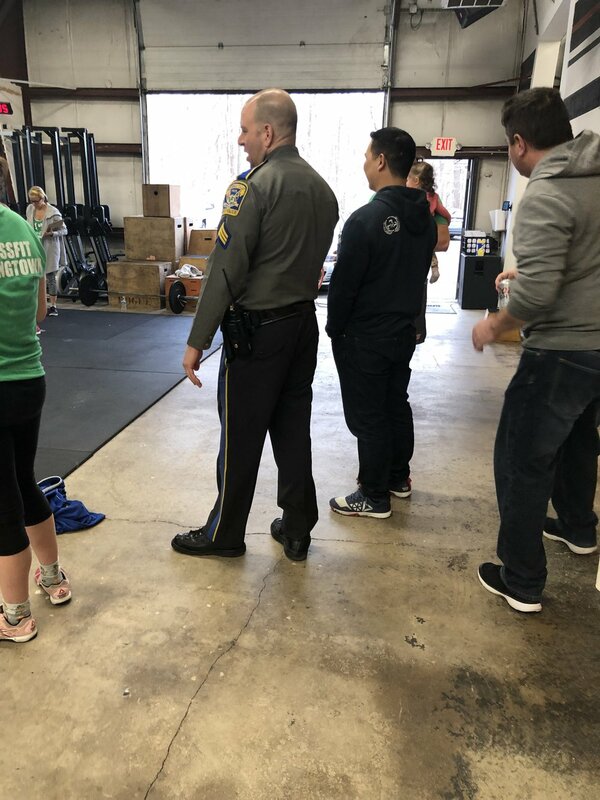 Illegal reps are not taken lightly at Strongtown. 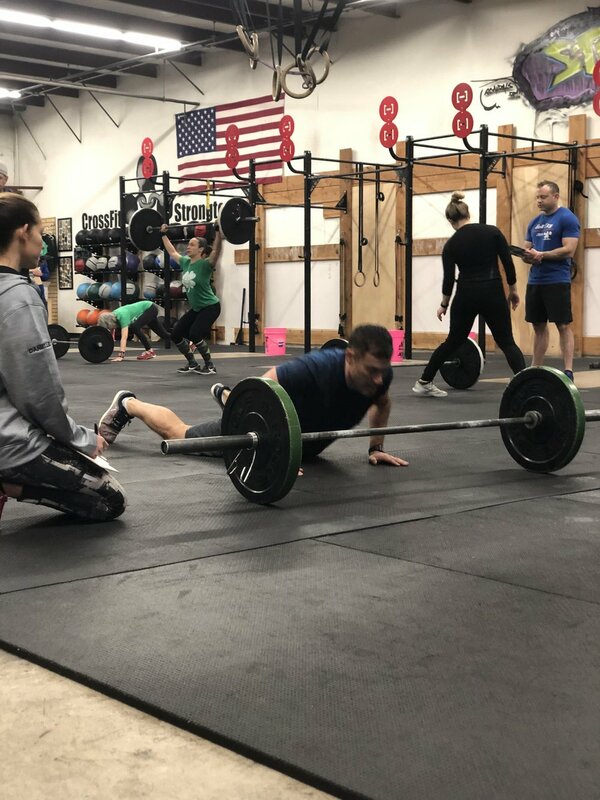 Scott working through his bar facing burpees. Mikey can be sooo judgemental these days.